August 2017 – Present /Sweden, Stockholm. My role as head of products for this fast growing start-up includes responsibilities on a greater scale by being deeply involved in strategy, sales, distribution and user awareness. Improving peoples health by creating user friendly and fashionable protection against air pollution by focusing on air filtering innovation, new technology and smart materials. January 2015 – July 2017 /UK, London. Priestman Goode is an award winning internationally renowned design studio. By creating beautiful and innovative design solutions for world class brands, Priestmangoode's work has set new standards for excellence in the fields of Transportation, Product, Environment and Packaging design. My responsibilities includes; qualitative research and analysis trend exhibitions and factory visits, concept sketching, producing visuals and concept proposals from CAD modeling to prototype and production. Working mainly in the field of public transportation for the aircraft and train industry. November 2013 – January 2015 /Norrköping, Sweden. Stadium is Sweden’s largest sports chain with approximately 160 stores in Sweden, Denmark, Finland and Germany. My role as a footwear designer at Stadium gave a wide understanding in the product development process, from sketch to market sales with the customer in focus. Market research and outdoor exhibitions provided knowledge in new technology, material and colour trends while developing collections. Responsible designer for footwear in the category of running, hiking, training, football, golf, outdoor and lifestyle for senior and junior footwear. Besides footwear creating design and graphics for volleyball and football equipment including knee protection, socks, gloves and balls. Working though the whole design process for each season starting with inspiration trips, market research and outdoor exhibitions for new technology, material and colour trends to present sketches for sampling and final design. Having a close connection with suppliers though out the whole process, including trips to Asia and factory visits. August 2012 – August 2013 /Stockholm, Sweden. As an Industrial design consultant at Idesign, I expect to work in different projects in the areas of Product and Transportation Design, User Interface, Graphics and Design Research for the Swedish and European market. Working mainly in the field of transportation and been involved in several of train design projects, creating exterior and interior design for clients as Siemens and Alstom. Responsibility for a train design manual. Developing office furniture’s for Kinnarps and firefighters equipment for Interspiro. 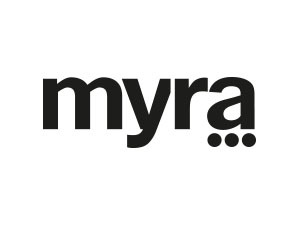 Since the start in 1976, Myra has worked with over 300 companies to develop solutions that improve everyday life. Covering a wide range of areas from consumer products and professional tools to medical and high-tech devices. During my time at Myra, I worked in various projects within the Product Design Team for important companies. Creating new design for Gustavsberg’s sanitary products. Developing help assistance tools for the health care industry including Etac and Handicare. Creating design updates Atlas Copco power tools. 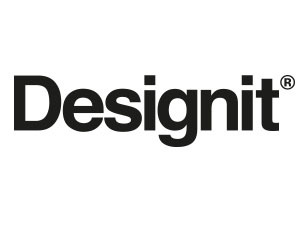 Designit is one of Europe’s largest international strategic design consultancies, with offices in Aarhus, Copenhagen, Oslo, Stockholm, London, Munich, New York, Barcelona, Tokyo and Tel Aviv. As an Intern at Designit's head office in Aarhus, I was involved in several of multidisciplinary projects including kitchenware products for Wilfa, where I was involved in a early stage of ideation and research in the development of the Wilfa Svart Precision. Creating design concept in new technology wind power turbines for Envision. Involved in a project creating fitness machines for Kettler. Researching solutions for people with diabetics, package design and graphic design. 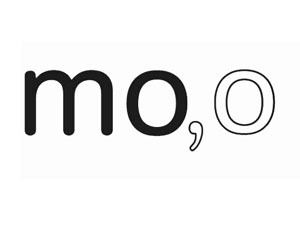 November 2009 – February 2010 /Netherlands, Amsterdam. Maarten Olden is an award winning designer who has his studio located in Amsterdam shared with other individual entrepreneurs. He specializes in Architecture and Product design in a wide range of areas including Furnitures, Tableware, Toys and Interior design for schools, shops and exhibitions. Our achievements resulted in a innovative step ladder for Altrex, functional outdoor furnitures and other consumer products. July 2009 – September 2009 /Tel-Aviv, Israel. I2D has worked on award winning design projects ranging from the Palm V, through polestar MRI, with clients such as AT&T, Dell, Pepsi, Samsung, Motorola and Scitex. I2D follows an innovation focused, research-based approach from user testings to product development which was practiced during my position as an Product design intern. Working mainly in a project for the hospital industry. January 2007 – March 2007 /Stockholm, Sweden. Poc is a Swedish company with a strong mission to do the best to possibly save lives and to reduce the consequences of accidents for sports athletes and cyclists. 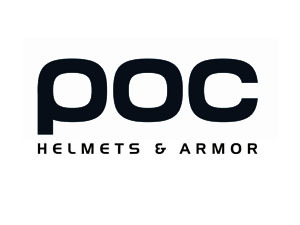 Poc is well known for its helmets and body armor which is developed in close collaboration with POC Lab; POC’s scientific forum that consists of some of the world’s foremost sports medicine experts, brain scientists and specialists in spinal cord injuries. My internship period at Poc gave knowledge in the development of sports equipment while creating a concept for a downhill knee protection.